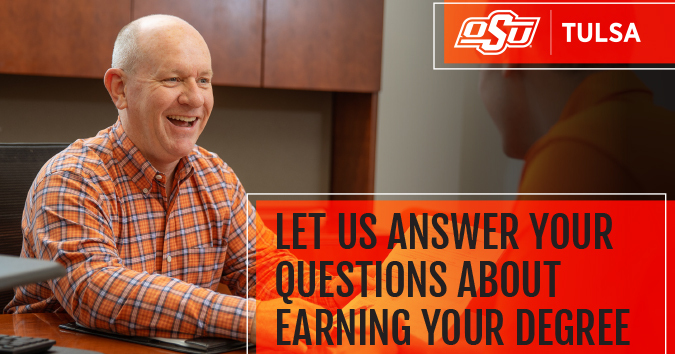 OSU-Tulsa's academic advisors are here to guide you through your college experience, from transferring to OSU-Tulsa, choosing the best courses to achieve your degree goals and enrolling in them through graduation. Whether you're currently enrolled in classes at OSU-Tulsa and are looking for assistance or are considering transferring to OSU-Tulsa and wondering where to begin, we are here to help. View information about dropping classes during the winter holiday. I want to become an OSU-Tulsa student. I am a current OSU or OSU-Tulsa student. I was an OSU student and want to return to OSU-Tulsa. I'm curious about OSU-Tulsa and want to know more. The core values of Oklahoma State University-Tulsa are: Integrity, Excellence, Service to Others, Diversity, Stewardship of Resources and Intellectual Freedom. 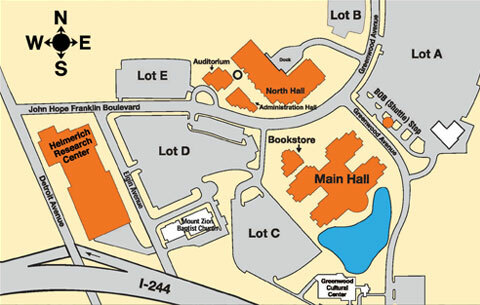 The Academic Advising Center of Oklahoma State University-Tulsa fully embraces the core values of the institution and believes in providing a high level of service to students, while also providing the necessary resources and encouragement for students to make sound decisions regarding their educational goals. Academic advising at Oklahoma State University-Tulsa is a collaborative, mandatory process. Academic advisors and students work to define and implement educational plans consistent with the student’s personal values, goals and career plans to become a self-directed learner and decision maker.